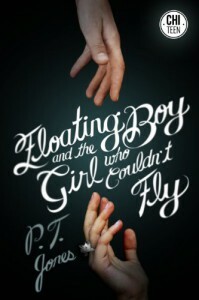 The Floating Boy and the Girl Who Couldn't Fly by P. T. Jones is a cleverly written book for children ages twelve & up. The dialogue has just the right amount of snarkiness. It is well done for the time when teens are not always comfortable with their peers & environment. It has touches of crush/romance as well as science fiction. "She laughs, thinking she can embarrass me more than I can her. Oh, Mother." It's a fun story to read & moves fast. Because it kept my interest, I gave it four stars. "The kids form a circle around the tree. They're full of righteous sugar & corn syrup, & they jump & throw their arms in the air like they're about to kill Piggy. Lord of the Flies is the one summer book I got to, all right?" I received a complimentary copy from ChiTeen & NetGalley. That did not change my opinion for this review.